Honnechy is a village in the Department of the Nord, 8 kilometres south-west of Le Cateau. 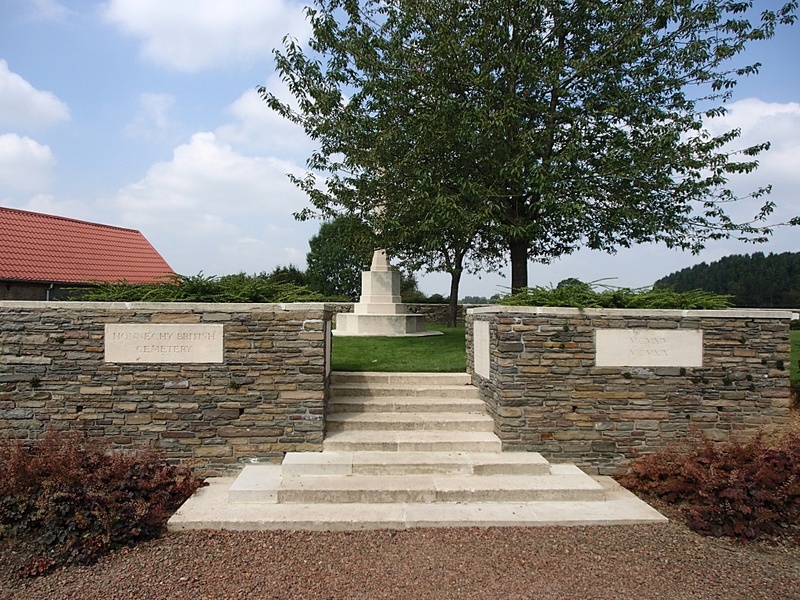 Honnechy British Cemetery is north-east of the village, on the north-west side of the road to Reumont. 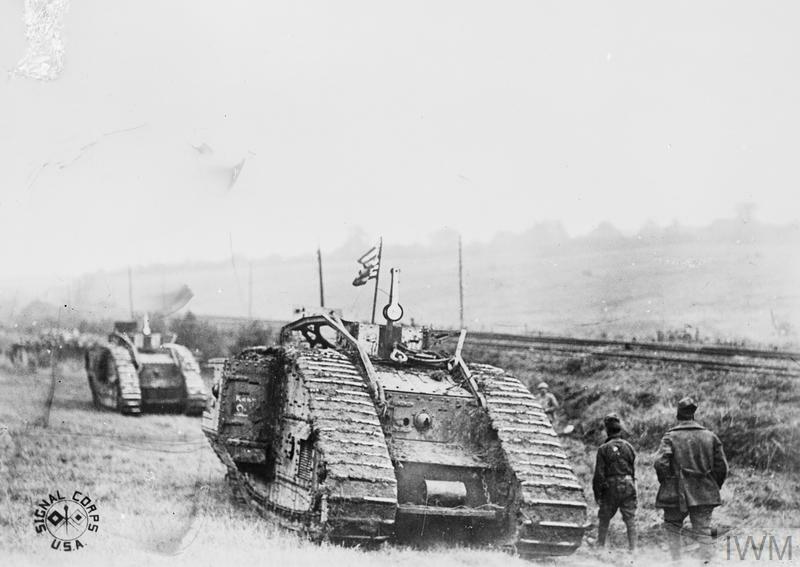 Honnechy was part of the battlefield of Le Cateau in August 1914, and from that time it remained in German hands until the 9th October 1918, when the 25th Division and the 6th Cavalry Brigade captured it. It had been a German Hospital centre, and from its capture until the end of October it was a British Field Ambulance centre. The village was inhabited by civilians during the whole of the War. BANTOUZELLE COMMUNAL CEMETERY GERMAN EXTENSION, which contained about 250 German graves and those of four soldiers from the United Kingdom and one South African airman. BOUSIES COMMUNAL CEMETERY EXTENSION, which was South-West of the Communal Cemetery. It was made by the 18th Division at the end of October 1918, and contained the graves of 24 soldiers from the United Kingdom and one German soldier. CLARY GERMAN CEMETERY, on the North side of the village, which contained the graves of 96 soldiers from the United Kingdom. 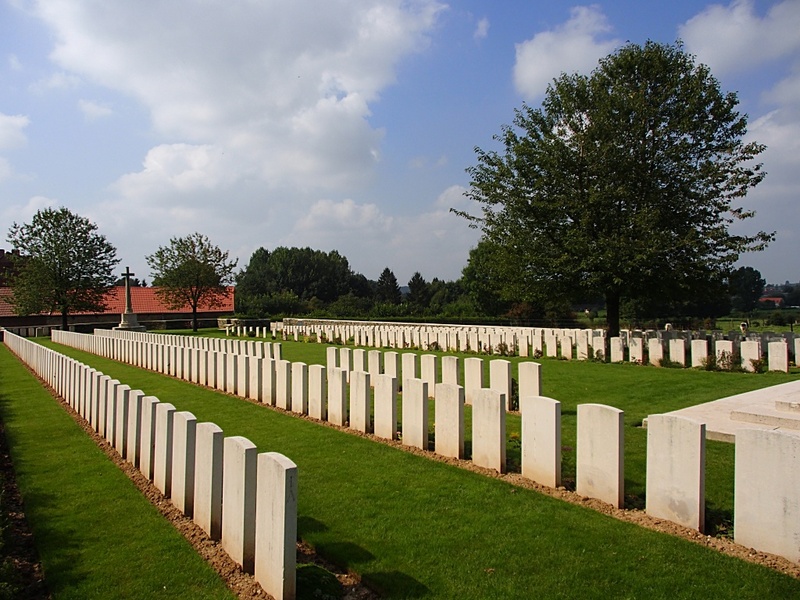 Of these 47 were buried by French civilians after the Battle of Le Cateau; 28 were buried by the enemy in 1917-18; and 21 were buried by their comrades in October 1918. The 127 German graves have also been removed. ESNES COMMUNAL CEMETERY GERMAN EXTENSION, which contained the graves of 470 German soldiers and 37 from the United Kingdom and six of the Royal Guernsey Light Infantry who fell in action or died as prisoners in 1917-18. 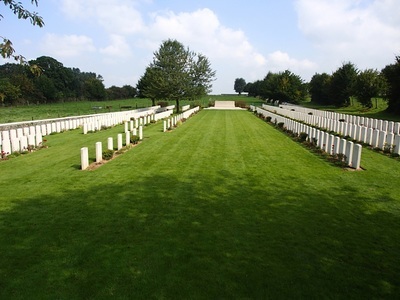 LESDAIN GERMAN CEMETERY, at the South-East corner of the village, which contained the graves of 350 German soldiers, six soldiers from the United Kingdom buried by the enemy as prisoners, and 26 New Zealand soldiers and two from the United Kingdom who fell on the 8th October 1918 in the capture of the village. MALINCOURT GERMAN CEMETERY, on the East side of the road to Walincourt, which contained the graves of 300 German soldiers, seven soldiers from the United Kingdom buried by the enemy and 14 who fell October-December 1918, and one man of the Chinese Labour Corps. MARETZ COMMUNAL CEMETERY GERMAN EXTENSION, which was on the East side of the Communal Cemetery. It contained the graves of 213 German soldiers, 25 from the United Kingdom and three from South Africa; of the 28 British graves, 23 were made by the enemy. SELVIGNY GERMAN CEMETERY, which is now a large permanent burial ground between the villages of Selvigny and Walincourt. It contained the graves of 106 soldiers from the United Kingdom, eight of whom were buried by their comrades in October 1918. SERANVILLERS GERMAN CEMETERY No.1, at the West end of the village. It contained the graves of 200 German soldiers, three from the United Kingdom and one of the Royal Guernsey Light Infantry. VILLERS-OUTREAU COMMUNAL CEMETERY GERMAN EXTENSION, on the South side of the Communal Cemetery, which contained the graves of 25 soldiers from the United Kingdom, 28 German and one Russian; and VILLERS-OUTREAU GERMAN CEMETERY, near the East side of the village, in which 900 German soldiers and one from the United Kingdom were buried. WAMBAIX GERMAN CEMETERY, on the East side of the road to Cattenieres, in which seven soldiers from the United Kingdom were buried by French civilians in 1914 and one R.F.C. 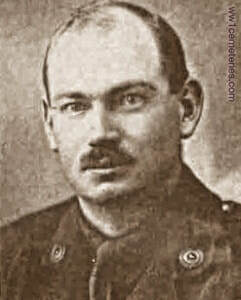 Officer in 1917 by the enemy. There are now over 450, 1914-18 war casualties commemorated in this site. Of these, nearly a quarter are unidentified and a special memorial is erected to one Canadian soldier known to be buried among them. Other special memorials record the names of eight soldiers from the United Kingdom whose graves could not be found during the concentrations from German cemeteries. A number of graves in Plot I, Row C, identified as a whole but not individually, are marked by headstones bearing the additional words "Buried near this spot". The cemetery covers an area of 1,691 square metres and is enclosed by a low rubble wall on three sides. 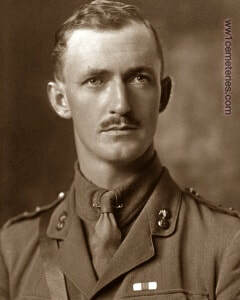 1st December 1917, aged 29. 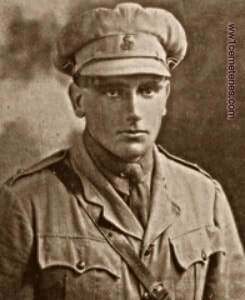 Son of E. W. and Anne Bachmann (nee Waterman), of Guernsey; husband of Dorice Winifred Annie Pontin (formerly Bachmann, nee Inman), of 2, Paxton Place, Cambridge Park, Guernsey. His headstone bears the inscription; "Blessed Are The Pure In Heart." 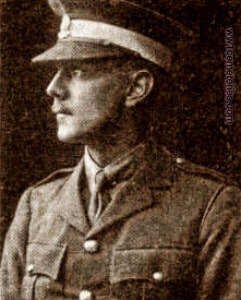 Charles Geoffrey Barton, M. C.
17th October 1918, aged 28. 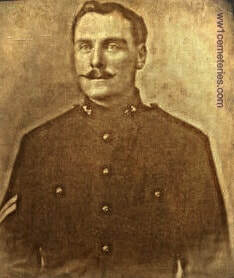 Son of the late Col. B. J. Barton, A.D.C., D.L., and Mrs. Barton, of Portsalon, Co. Donegal; husband of Letty Barton, of The Garth, Ashford, Kent. ​His headstone bears the inscription; "Yet Is Their Hope Full Of Immortality." 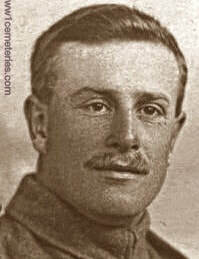 26th March 1918, aged 31. 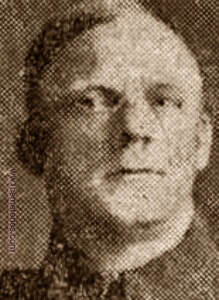 Son of Jacob and Jane Birtwistle; husband of Annie Birtwistle, of 37, Burnley Rd., Blackburn. His headstone bears the inscription; "Safe In The Arms Of Jesus. R.I.P." No. 2. Coy. 2nd Bn. Canterbury Regiment, N.Z.E.F. 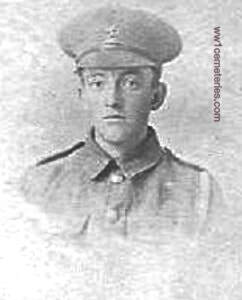 8th October 1918, aged 21. Son of James and Mary Brown, of Hornby, New Zealand. 2nd Bn. Canterbury Regiment, N.Z.E.F. Son of David and Annie Davidson. Born in Forfarshire, Scotland. 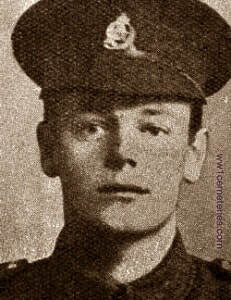 27th August 1914, aged 28. Son of Archibald Dunlop, M.D. Native of Holywood, Co. Down. His headstone bears the inscription; "Phillipians I - 3"
17th December 1917, aged 30. 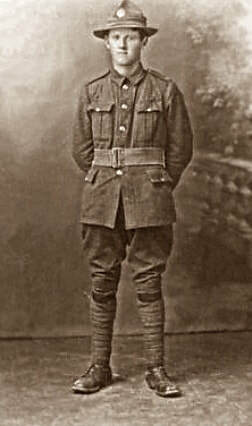 Son of Walter Gerald and E. Constance Gurney, of 12, Wellington Square, Cheltenham; husband of the late Blanche Lilian Brown Gurney. His headstone bears the inscription; "Of South Africa Killed 'Neath Heaven's Gates Falling A Burnt Sacrifice." 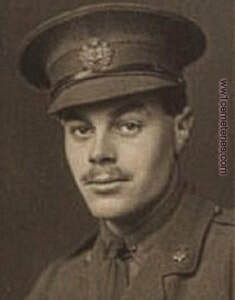 8th October 1918, aged 33. 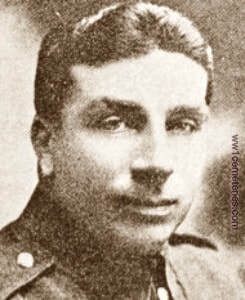 Son of Alexander and Ellen Howie. Born at Waverley, New Zealand. 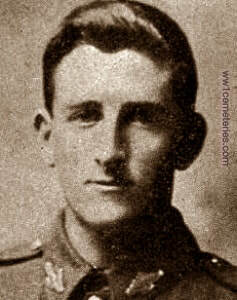 8th October 1918, aged 28. 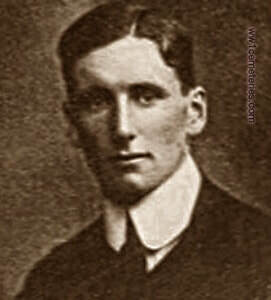 Son of the late Sidney B. Kelly, of Cronk-Y-Voddy, Isle of Man; husband of Jessie Kelly, of "Briardale," Shore Rd., Castletown, Douglas, Isle of Man. 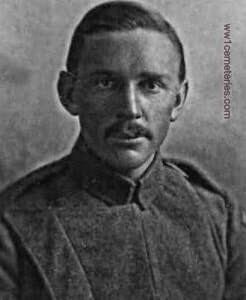 27th August 1914, aged 30. 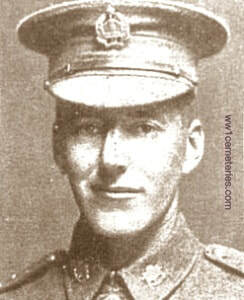 Son of George Glascott Newton (late Major Suffolk Regt.) and Anne Westby Newton, of Ballybeg, Co. Wicklow. Son of Thomas and Alice Blanche Porter, of Main St., Palmerston North, New Zealand. Also served at Gallipoli, in Egypt and in Palestine. 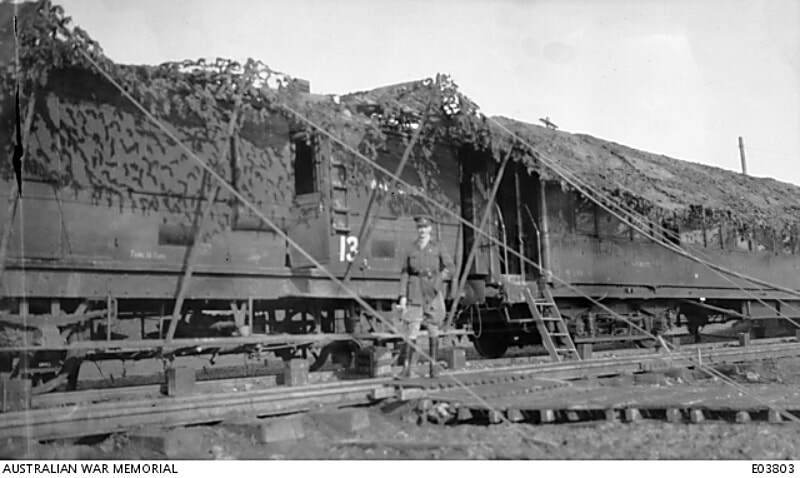 9th November 1918; Headquarters of the 4th Army in a camouflaged train at Honnechy. The Headquarters by this means moved forward with the advance of the Army. 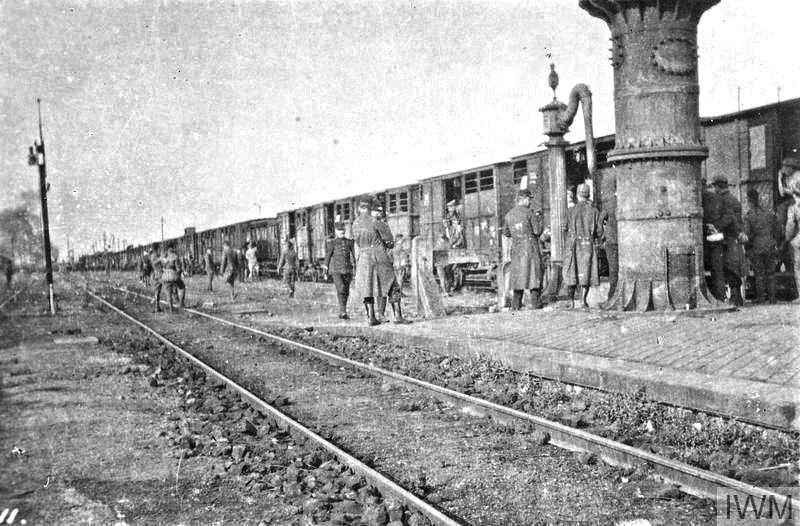 Standing beside the train is Captain J. Herbertson, General Staff Officer III.